The internet is vast: It’s layered into billions of lives, influencing everything from economies and governments to education and romance. 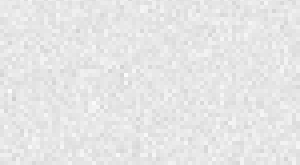 This pervasive internet can promote opportunity, empowerment, and free expression — but also misinformation, mass surveillance, harassment, and abuse. More than ever, we need a movement to ensure the internet remains a force for good. We need people who stop the spread of misinformation, who put individuals in control of their data, and who keep artificial intelligence accountable. We need people who ensure smart cities and next-generation voice technology are diverse and equitable, and who conduct open research. Mozilla Fellows do just this. And today, we’re opening applications for our 2018-2019 cohort of Mozilla Fellows, with $1.2 million in support. Mozilla Fellowships provide resources, tools, community and amplification to those building a more ​humane​ ​digital​ ​world. During their tenure, Fellows use their skill sets — in technology, in activism, in science, in policy — to design products, run campaigns, influence policy and ultimately lay the groundwork for a more open and inclusive internet. Mozilla Fellows hail from a range of disciplines and geographies: they are policymakers in Kenya, journalists in Brazil, engineers in Germany, privacy activists in the United States, and data scientists in the Netherlands. During a 10-month tenure, fellows work on individual projects, but also collaborate on cross-disciplinary solutions to the internet’s biggest challenges. The Fellowships run from September 2018 through June 2019. 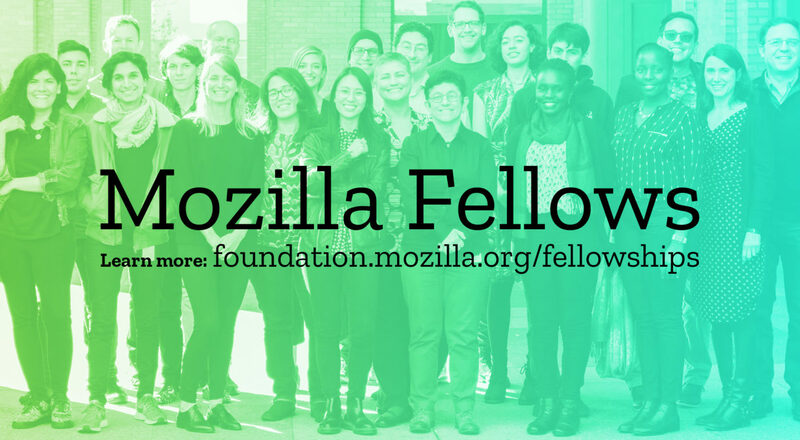 Mozilla Fellowships are a transformative experience for emerging leaders concerned with making the internet a safer, more accessible resource for everyone. Fellows expand their network and sphere of influence; design impactful projects with the potential to reach millions; and learn from and collaborate with a global community of thousands of Mozillians. Mozilla Fellows are also awarded competitive funding and benefits. Open web activists: Fellows who work in the realm of public interest technology, addressing issues like privacy, security, and inclusion online. These open web activists will embed at leading human rights and civil society organizations from around the world, lending their technical expertise. Check out the list of this year’s featured host organizations, and apply to work with them. 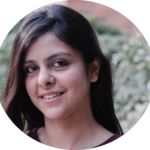 Amba is a Mozilla Fellow focused on tech policy, examining how India’s experience with protecting the open internet can inform the global debate on issues like net neutrality and online privacy. Previously, Amba was a legal consultant at India’s National Institute of Public Finance & Policy. Read Amba’s recent op-ed in the Indian Express. 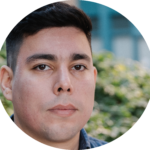 Orlando is a Mozilla Fellow focused on the open web and making it a safer place for marginalized communities. He is working with the Bahraini nonprofit Majal to expand Ahwaa, a secure and anonymous discussion platform for the LGBT community in the Middle East. Learn more about Ahwaa, Majal, and Orlando. Amel is a Mozilla Fellow focused on science and a bioinformatician at Institut Pasteur de Tunis. She is developing open-source guidelines and resources for improving biomedical research across the African continent. 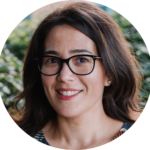 Learn more about Amel’s recent work.